The ACIM Pocket [sized] Edition of the Text is available. The Text volume is the companion to the popular ACIM Pocket Edition Workbook/Manual. Both are published by Course in Miracles Society. This Text Edition contains the complete and unabridged Text portion of A Course in Miracles - Original Edition as it was completed by Helen Schucman and Bill Thetford in 1972. We call it a "pocket edition" because the book is designed to go anywhere with the student. It is only 8" x 5 " and just less than 1" thick. This is the Orignal softback first published in 2000. This editon also includes a Glossary and an analysis of the Early Versions and Editing of ACIM contributed by Robert Perry. because He has never condemned. ~ A COURSE IN MIRACLES, LESSON 60 "God is the Love in which I forgive"
We are thrilled to announce the inclusion in this issue for the second time in our Newsletter, of a ~MUSIC~ Section. In our last month's issue we showcased "MATTY Z" who shared music from his album "Universal Love"! This month we have music by one of our Newsletter contributors, "ROB RIDEOUT" who is sharing music from his CD, "Still Singing, somehow". [Available on his website and AMAZON sometime this JUNE]. Daniel Tipton's DARE TO BE HAPPY segment this month is titled: SNACK-SIZED SHIFTS as he continues with his sixth article in this on-going series. In this article, Daniel shares with us a glimse of his musings on minor but not insignificant shifts occurring in his life. Some of you had the pleasure of meeting Daniel at the CMC 2011 Conference in San Francisco. He is in the CMC ministerial program and is an active member of the Course in Miracles Omaha Study Group. And finally, we have the continued Guidance from our Elder Brother as received and scribed by Sun~Rose. This article offers Guidance on the Holy Spirit. The commentary on the 53 Miracle Principles, as these principles appear in the original edition [oe] published by CIMS, and in previous CIM newsletters, is now available in a book by Sun~Rose entitled: "YOU ARE LOVED AND SAFE: Prep Notes for Experiencing God's Love". *CIMS Newsletter BANNER created by Carmen Cameron and Tom Fox. The goal of forgiveness is to realize that there is nothing to forgive. That goal is stated quite eloquently in one of the most articulate and persuasive books ever produced in the English language, the revolutionary spiritual teaching of A Course in Miracles. I have studied this divine curriculum on a daily basis ever since the first time I picked it up, almost twenty years ago. That teaching, studied so diligently and absorbedly, changed my life in unimaginable ways and led me away from an egocentric, self-absorbed existence to a life now filled with blessings. That long and inspired journey taught me forgiveness, which opened my mind to the infinite possibility of a life existing alongside the delusional and ego-ruled existence that we know as "the world". I came to see that divine possibility as an ever-existing reality which lives just outside our perceptual boundaries, yet knows no peer or even comparative examples in an inherently-limited, perceptual world. If I may, I will borrow a few minutes from your day to tell you of my adventure and the treasures found in its pursuit. An essential component of the practice of Course precepts is forgiveness, as mentioned previously. The big difference however is the way the Course defines the term. Unlike the traditional perception of forgiveness as pardoning someone for wronging us, the Course prescribes forgiveness as a means for eliminating the barriers created by the guilt and fear driven ego mind and thereby revealing to us our true spiritual nature. It does so by providing compelling arguments that we should forgive not because someone has wronged us but rather because, in truth, the "wronging" only occurred in an illusory state of mind, or dream. As radical as it may seem, this revolutionary worldview has been proposed and endorsed by such great historical minds such as Plato, William James, Albert Einstein, and Carl Jung, as well as contemporary luminaries such as Eckhart Tolle, Marianne Williamson, and Dr. Wayne Dyer. The Buddha himself taught that most of us live our lives in a dream state and that our main goal in life ought to be to awaken from it to the reality of our divine nature. Jesus of Nazareth spoke of his "Father's House" and the many wonders of the divine world as his truth. 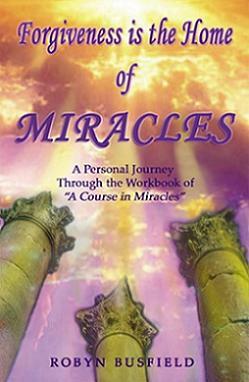 Robyn is a student and teacher of "A Course in Miracles." During her first year of the Workbook lessons, she was inspired to relay her personal journey through the lessons. She shares this personal journey in her new book, "Forgiveness is the Home of Miracles" Below is an excerpt taken from Robyn's new book. It is August 2007. I have been studying the "Magnetic Laws of the Universe" for more than a decade. Acknowledging and implementing these unquestionable laws over all these years has indeed brought harmonious changes to my once questionable life. On this warm August day in Redondo Beach, California, I sit to visualize as I had done for many years after discovering the knowledge of the now famous Law of Attraction. I have been visualizing for just a few minutes when I hear this gentle Inner Voice-the Inner Voice I have come to know very well at this point in my life. It gently said, "We are not going to let the Universe know what we want today. Instead, we will be silent and allow a Higher Knowing to let us know what is best." After visualizing for so many years, I found it difficult to just stop. It had become a big part of my life. I also wasn't completely sold on this new idea of not visualizing. So the next morning I sit to visualize once again. It didn't take long, seconds maybe, before the same Inner Voice led me away from visualizing and gently guided me to hand all outcomes over to a Higher Knowing. "Read it again, Mama," my then two-year-old daughter would chant night after night at bedtime. And regardless of how tired I was, I would start over, vaguely conscious even then that my own little bunny would all too so on be running away as all little bunnies eventually do. "Once there was a little bunny who wanted to run away," I read. "So he said to his mother, 'I am running away,'" my daughter would chime in. She loved that part. "'If you run away,' said his mother," I continued, "'I will run after you. For you are my little bunny.'" Like most young children, my daughter loved this tale by Margaret Wise Brown concerning a little bunny's fantasies about striking off on its own, assuming various identities and hell-bent at trading the security of a safe, toasty warren and a parent's adoration for more alluring horizons. Becoming for example a fish in a trout stream that tries to swim away only to have its mother come after him and fish him out with a pole. My daughter would clap her small hands as the little bunny became a rock on a mountain, a crocus in a garden, a circus performer, and a sailboat in its frenzy for freedom and laugh as the patiently indulgent mother followed in hot pursuit, morphing into a mountain climber, a gardener, a trapeze artist, and a steady wind to blow him back into her loving fold. **Susan Dugan is an A Course in Miracles student and teacher blogging about practicing ACIM's extraordinary forgiveness at www.foraysinforgiveness.com. Her collection of personal forgiveness essays, Extraordinary Ordinary Forgiveness was recently published by O-Books and is now available on Amazon http://www.amazon.com/Extraordinary-Ordinary-Forgiveness-Susan-Dugan/dp/1846945585. She appears in the documentary A Course in Miracles: The Movie along with premier Course Scholar and Teacher Kenneth Wapnick, PhD, best-selling Course Author Gary Renard, and Nouk Sanchez and Tomas Vieira, authors of "Take Me To Truth: Undoing the Ego"
As a singer/songwriter, I've always viewed song lyrics as a form of poetry- poetry that has the potential to touch people's heart-felt feelings and emotions, with the help of a melody, voice and instruments. To me, songs are like seed versions of much longer stories, but loaded with deep emotions that simply can't be expressed in mire words alone. That is where the voice comes in. Of all instruments, the human voice has always been the original one. Pathos in a human voice can often hit a nerve; when coupled with good lyrics, this power can be awesome. Things I've picked up over the last month. This isn't to say I'm right; just where I am right now in my healing. ~Let people speak and chime in when you can be truly helpful. The rest is ego play. Most conversations I experience (myself included) are two or more people with a single goal of saying what they feel they need to say regardless of where it takes the conversation. ~Having an opinion is always a waste of energy. I've been particularly judgmental of a certain person recently, convinced that my opinion was justified. After giving heaping spoonfuls of my "advice" and criticism, I'm right back to realizing that what I should have done was love and accept as always. I pray for forgiveness in this area. The Course says that it is impossible for us to make an accurate judgment unless we know every detail about everything, past, present, and future (which is also impossible!) We all express opinions daily and may even be required to, but I know that deep down an opinion has no ground. 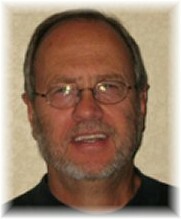 * Daniel Tipton resides in Omaha, NE and is a member of the Course in Miracles Society study group. 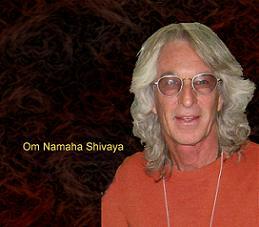 He is in the ACIM Ministerial Program offered by the Community Miracles Center and attended the 2011 Annual ACIM Conference in San Francisco. I'd like to start out with a little song that the Holy Spirit and I suggested to Sun~Rose for any trying time. It is sung to the tune of Gracious Spirit Dwell With Me, and it speaks the Truth of the Holy Spirit and All of You. This song may also be sung with 'We' or 'She' or 'He' or 'Thee', depending on Who is needing not just healing, but Whole-ing. For the Holy Spirit is the Rest of You, without Whom You are incomplete. As You all have searched for eons for the 'perfect (special) relationship', it has truly always been the Holy Spirit You were seeking. What a joy to relax and find that out so that if You have a special relationship (or many of them), now Each of You can concentrate on the Holy Spirit and actually open the door to a Holy relationship. Not yet though! First You will learn the joy of re-acquaintance with the Holy Spirit, Your Self, a Self so lovely, so wonderful, so full of Life and Love and happiness, so gentle and so kind, that You will begin to understand what Love really is and that Love is what You are, Your very Substance, rather than the 'material' person You have thought Yourself to be. Let's go back to the song, for those four lines can change your old mindset about Yourself if You will allow it. *Sun~Rose is the scribe of the recently published book, "YOU ARE LOVED AND SAFE: Prep Notes for Experiencing God's Love." She is also author of, "A Radiant Life: Raw Food and the Presence of Love". with mentors and mighty companions. We want this to be your newsletter. Please write us with your comments and suggestions. Tell us about your ideas for articles and book reviews that would be of interest to our readers.